Dana started studying violin at age 4, when she saw a violin recital and fell in love with the sound of the instrument. Dana went on to earn an undergraduate degree in Music Performance from Illinois Wesleyan University. After graduating, she began teaching violin and viola privately. Her teaching method emphasizes proper playing technique and comfort with the instrument. She takes an individualized approach with each and every student and focuses on making lessons fun as well as informative. She teaches students as young as 6 through adult. Dana is an active performer and plays violin as a member of the Lake County Symphony Orchestra. She also takes an interest in alternative playing styles such as rock and fiddle music. Daria completed her musical studies at Lviv Conservatory in Ukraine, graduating in 1976 with Master’s Degree in performance and pedagogy. For seventeen years she was a violinist in the Lviv Opera orchestra rising to the rank of assistant concert master. When Daria moved to Chicago, she joined the Northwest Chicago Symphony and the NCSO String Quartet. In addition, she has been string instructor at the Chicago School of Violin Making since 1994. Daria is an active performing violinist in the Northern Illinois/Indiana area and a teacher of developing young string players. She works with student ages 7 through adult. Iordanka Kissiova is a Grammy nominated violinist and active orchestral, chamber and solo musician. A native from Bulgaria, she studied at the National Academy of Music - Sofia with Prof. G. Bliznev and George Monov (performing artist who comes from the finest Russian tradition in violin playing). Before moving to the United States in 1993, Iordanka was a member of Bulgaria’s National Music Theater Orchestra and performed in Italy, Spain, France and Germany with the Lady's Chamber Orchestra, Sofia. She was also a string instructor and co-founder of New Youth Philharmonic and was teaching violin and viola at Little Music School in Sofia, Bulgaria. In the United States, Iordanka has played regularly in regional orchestras throughout the Midwest. Among them are Ars Viva Symphony Orchestra of Lake Forest, Illinois Symphony Orchestra, Chicago Classical Symphony Orchestra, Northwest Symphony Orchestra, Chicago Master Singers, St. John Cantius Orchestra, Lincolnwood Chamber Orchestra, Elmhurst Symphony Orchestra, Chicago Folks Operetta, and New Budapest Orpheum Society, are among the few. Iordanka appeared as soloist with NSO, Chicago Businessmen Orchestra and Chicago Virtuosi Orchestra. 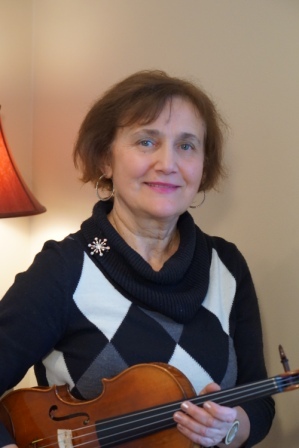 Iordanka has been an active private string teacher in the Chicago area since 1996 and has been teaching students from all levels and ages 5 to adult. 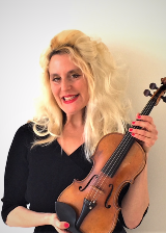 Donna Curry is dedicated to instructing and developing young musicians in Violin and Viola, K - adults using both the Suzuki and Traditional methodologies through 'The Curry Method'. The Method enables her to build a consistent musical foundation that is co-created, interactive, and highly individualized. It enables students to know the joy of making music and inculcates a life long love of music from “Twinkle" all the way to the complexity of a major Concerto. 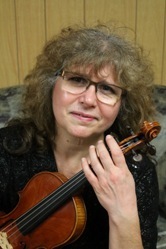 Donna is an accomplished violinist and teacher is as well a certified, registered Teacher Trainer of the Suzuki Method. She has had the privilege of being an invited faculty member across the country as well as the International Convention in Banff, Alberta Canada. Donna holds degrees from the University of Michigan and DePaul University. She has also completed advanced studies at Northwestern University, Roosevelt University and Wayne State University as well as additional private violin study with the renowned teachers, Elizabeth A.H. Green (author, teacher, publisher), Charles Avsharian, (CEO SHAR Products), Gustave Rosseels ( past Chair, University of Mich.) Dr. Milton Goldberg (acclaimed teacher, Winnetka), David Moll (CSO), Prof, Aida Guertovici, (mentee to Eugene Ysaye). Proudly, Donna’s current students hold leading chairs in 12 area orchestras from the North Shore to Milwaukee and suburbs West. Naza began studying cello at the age of 8 in a highly competitive music school in Bishkek, Kyrgyzstan. She continued with her cello training and graduated from the Kyrgyzstan National Conservatory under Zenona Slenzak- Begaliev. Naza has studied at the Moscow Conservatory under Maria Tchaikovskaya. Naza has been running a successful private music studio since 2015, and enjoys teaching children and adults from beginner to advanced. She also plays professionally and is a member of two orchestras: the Highland Park Strings and Skokie Symphony Orchestra. 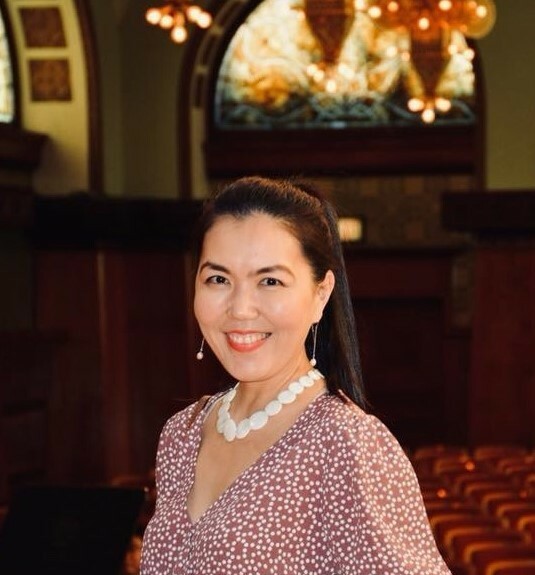 In 2016, Naza was a featured a performer in Sounds of Kyrgyzstan, a gala concert held in Nichols Hall in Evanston, IL. In April 2018, she was selected by Highland Park Orchestra to play a special benefit concert with the world-renowned cellist Amit Peled. Naza is teaching cello at our Kenosha location. Warren Oja is an active teacher and performer. 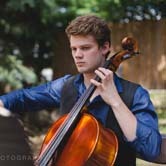 Mr. Oja has been giving private cello lessons for over a decade. From the summers of 2014-2016, Mr. Oja was the head counselor of the International Cello Institute at St. Olaf College in Northfield, Minnesota, where he served as a mentor and a coach for young and serious cellists. Aside from teaching, Mr. Oja has served in numerous professional symphonies as a sub and a section cellist, including the Southwest Michigan Symphony, the Park Ridge Civic, and the New Philharmonic Symphony. Mr. Oja received his bachelor's degree in music performance at Western Michigan University where he served as principal cellist of the University Symphony and received the Herbert Butler scholarship. Mr. Oja continued his education at University of Tennessee, where he had the position of graduate teaching assistant and served as principal cellist of the University Symphony. His primary teachers have been Bruce Uchimura, Wesley Baldwin, and Brant Taylor. Mr. Oja is recognized internationally as a cellist and teacher through his platform on Instagram, which has nearly 40,000 followers. With his following, he built an online Skype studio where he currently gives private cello lessons to students from all over the world. Mr. Oja is happily married to his wife Elizabeth Vaughan, an accomplished pianist. They live in Vernon Hills with their twin toddlers, Heather and Iris. 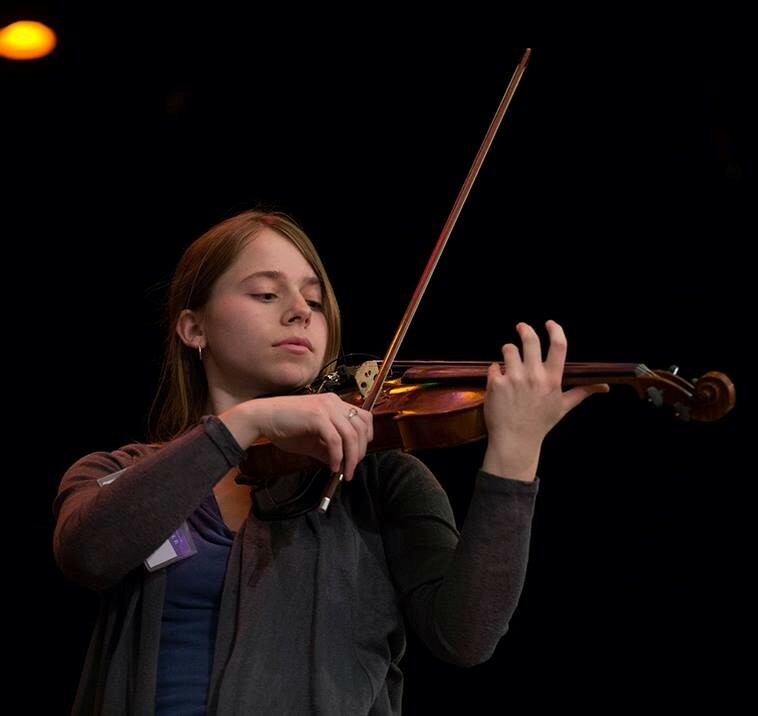 Emma McAlister has a Violin Performance Degree from UW Whitewater and a Masters in Music Education with an emphasis in Suzuki Talent Education from UW Stevens Point. At UW Whitewater, she had the privilege to be concertmaster of the symphony and the chamber orchestra, and was a member of the Chancellor’s Quartet. She was also a fellow in the Lake Geneva Symphony Fellowship Program. She has experience performing for a variety of events, including numerous weddings. She enjoys playing in all configurations of ensembles and is comfortable in a variety of styles such as classical, pop, and fiddle music. 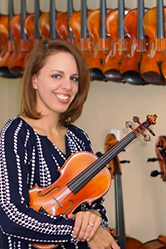 She has extensive experience teaching private violin lessons, group classes, and coaching orchestra sectionals. She enjoys working with students of all ages. Susan studied Suzuki violin from the age of 4 and played at Carnegie Hall with a group of children representing American students. She was accepted into Music and Art High School in New York and elected to attend Mannes Conservatory prep division. Graduating from School of The Art Institute in Performance with credits from New York University, she received her Masters in Interdisciplinary Arts from Columbia. Having played in chamber ensembles, Susan has performed at weddings, events and country clubs. Additionally, Susan enjoys playing electric violin with an alternate rock band at venues around Chicago. Susan is a College Professor in the Arts and Humanities and currently teaching courses in Performing Arts at the College of Lake County. This experience has provided her with a broad understanding of music and the arts in many cultures. Susan has been enjoying teaching violin to children as young as 4 through adult since 2003. She is available to teach both Suzuki and traditional methods.